La Réserve Paris Hotel and Spa, located at 42 Gabriel Avenue at the heart of Paris, offers the tourist an exceptional experience. This high place for Dolce Vita remains a prestigious address for those who share a particular philosophy of travel seeking luxury in a space of serenity and peace. 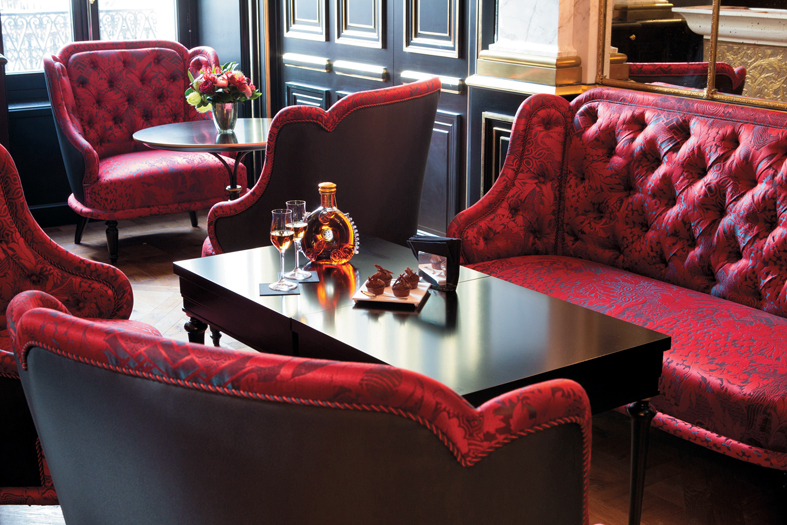 160 years after its construction, Michel Reybier and his family made of this castle of the XIX century the most chic place of Paris where every guest is treated like a king. 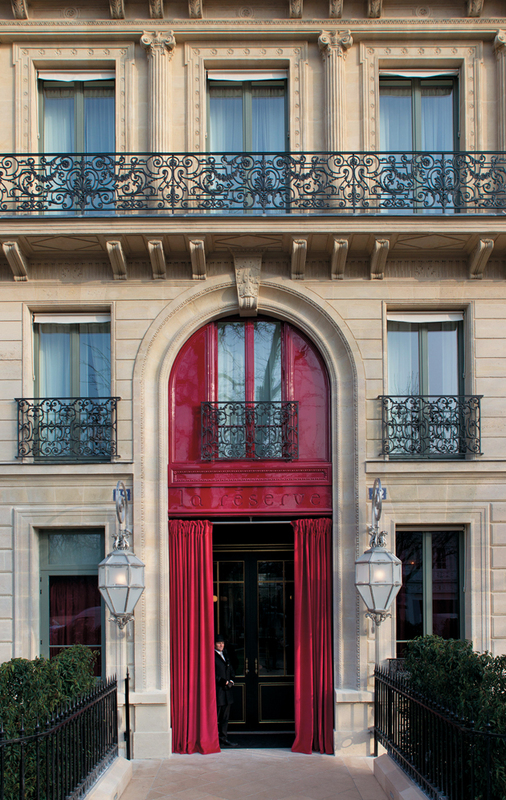 The entrance door of La Réserve Paris – Hotel and Spa. © La Réserve Paris – Hotel and Spa. 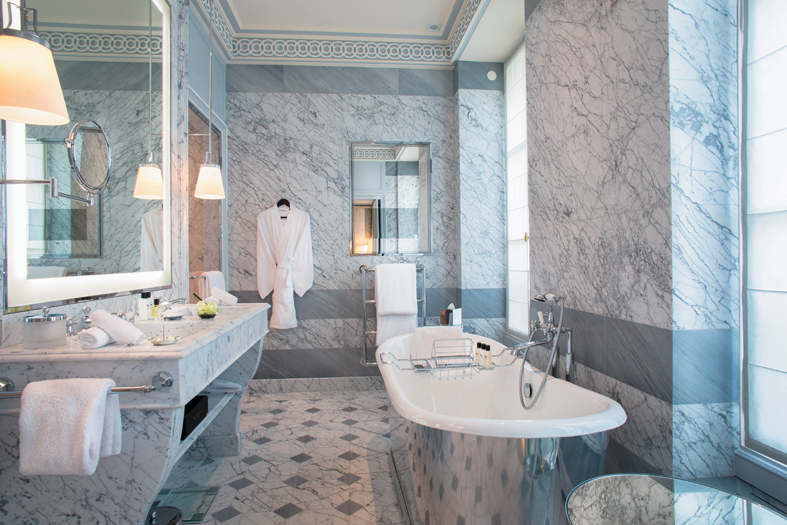 The 26 suites and 14 rooms of the Réserve Paris Hotel and Spa, spacious and welcoming, the Carrara marble master bathrooms and the atmosphere reflect elegance, luxury and hospitality that express the spirit and authentic essence of the XIXth Parisian century. 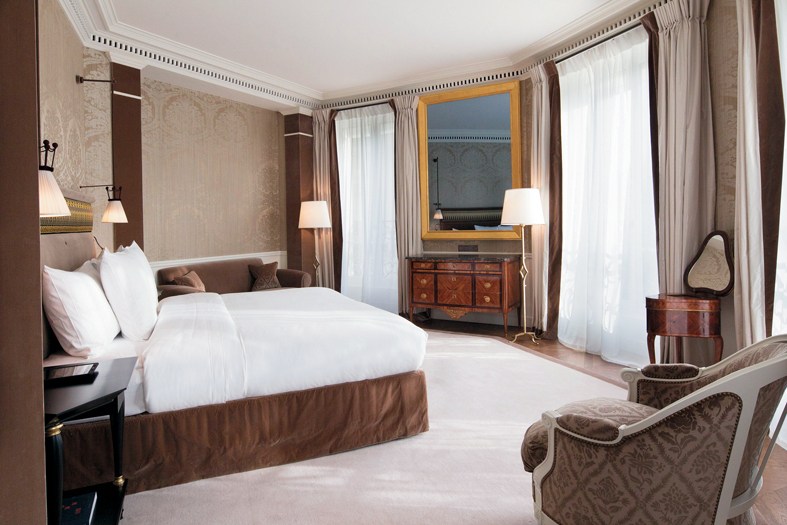 Every suite and every room are individually served to the taste of the visitor. There, the usual room service is not on the program, a simple click on the in-suite of the i-Pad 24/7, is enough to answer the desires and ensure the comfort of the traveler. At the Réserve Paris-Hotel and Spa, in addition to the interior pool of 16m, a unique spa is offered to the visitor: shaping, various sports with coach, massages, cosmetics and state-of-the-art care, hairsalons…, all to make your stay a dream. When it comes to food, the prestigious restaurants The Pagode de Cos, and Le Gabriel starred by Michelin Guide, are the visible testimony of a unique and refined cuisine. A unique stay at the Réserve Paris-Hotel and Spa and the tourist who fell under the charm, becomes accustomed to this exclusive place at the heart of the city of lights. Ambassador suite. 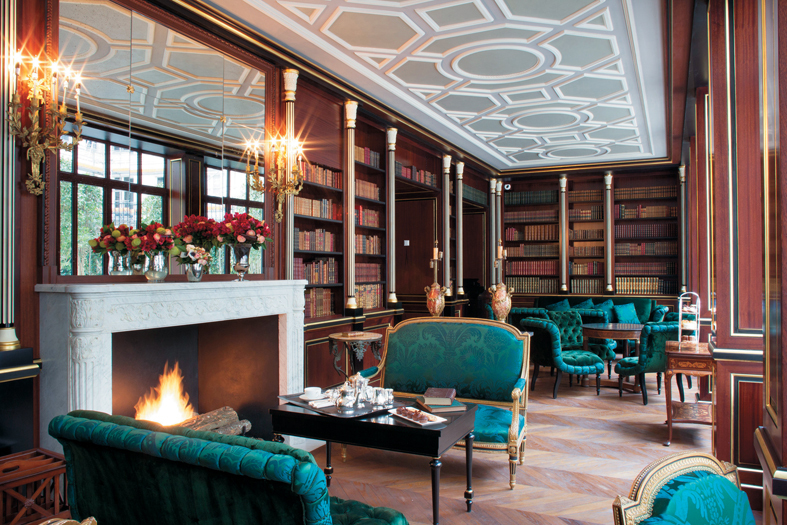 © La Réserve – Paris Hotel and Spa. The bathroom of a suite. © La Réserve Paris- Hotel and Spa. The library with an immense choice of books. © La Réserve Paris – Hotel and Spa.